If you served in the U.S. military and sustained an injury or have a medical condition that was caused during your active duty, you may be entitled to collect veterans benefits. Get the assistance of a Schererville veterans benefits lawyer. These benefits are designed to help those who may have difficulty working due to injuries suffered in the line of duty. 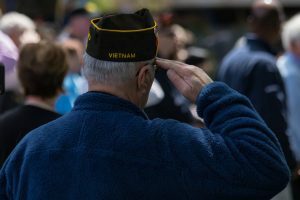 While they do not have to be combat-related, you will need to prove to the Veterans Benefits Administration (VBA) that the condition was caused during your time as an active duty member of the military. Some conditions may take years to develop symptoms. Comerford Law Office is proud to represent U.S. veterans with the process of applying for veterans benefits. This can include filing a form 9 or a filing a notice of disagreement. These forms are filed when you seek to appeal the VBA’s decision to deny your claim. Our attorneys have successfully helped numerous veterans apply for benefits and appeal decisions. Please feel free to contact our law office for more information. Or apply over the phone at 800-827-1000. You can have a personal representative fill out the forms on your behalf, as well. This includes an attorney. You do not need to provide evidence when you begin the application process. The VA will ask you for any information that it requires to determine if your claim is valid. During the application process, you will be required to list the conditions that make it difficult for you to work. You will want to include dates and times. You will eventually require medical evidence to link an active-duty incident to your medical condition. While sometimes this is fairly straightforward, other times the link between your duties in the military and your medical condition may not be that obvious. Regardless of how obvious the link is, you are entitled to receive benefits if you can prove your case. The attorneys of the Comerford Law Office can help you do just that. 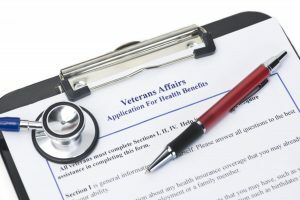 In the event that the VBA denies your petition for veterans benefits, you will need to file an appeal. To do this, you must file a notice of disagreement with the VBA. When a claim is denied, the VBA will list several reasons why they believe that the condition was not caused while you were on duty. In many situations, it will deny claims simply for lack of evidence. In response, you will need to list the reasons why you disagree with that finding and medical evidence to support your claim. Likely, this means taking the decision to your doctor and attempting to get the evidence you need. The attorneys at Comerford Law Office understand how frustrating this process can be. As your attorneys, we will help you prove your case to the VBA. Please feel free to give us a call or contact us online.